I told you yesterday would be a 20-hour day. And so it was. Well, it was for me. For Precocious Daughter, it was a 24-hour day. She got up at 2:00 a.m. Saturday and went to bed at 2:00 a.m. Sunday. 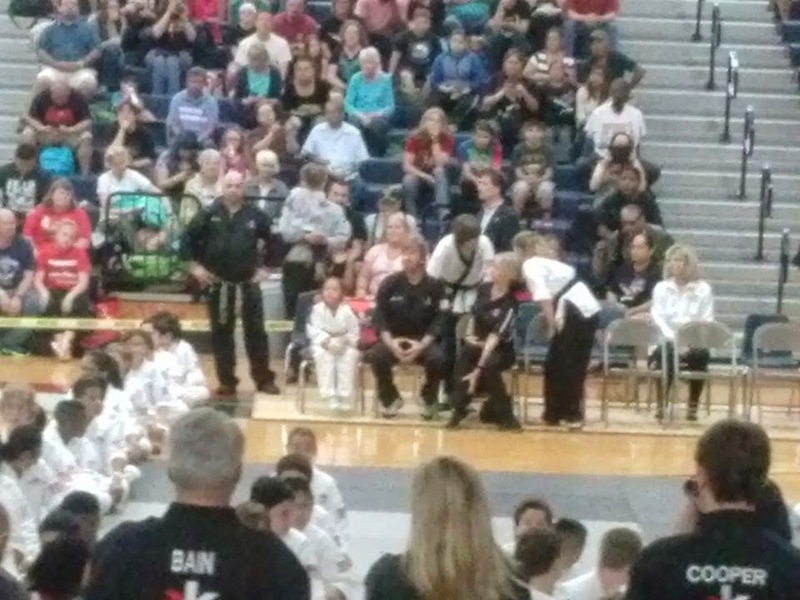 But Karate Tournament 2015 was awesome. Her whole team did a great job, snagging several first-place finishes. PDaughter herself placed 4th in both her events, which makes me very proud, as the competition was so, so fierce. It's a pretty terrible picture. But look, it's totally Chuck. This weekend, I learned that I'm too goddamned old to sit on plastic high-school bleachers for seven hours. My lower back is killing me. I also learned that I can still spend a day with PDaughter's dad and have a good time. Also, that I can spend a day with PDaughter's dad and realize we're done. My kid took a wicked kick to the face yesterday that turned her skin beet-red and knocked one of her contact lenses back into her eyeball. She took it with a smile and gave her opponent a big hug after the match. Today was pretty much a recovery day, you know? Wow. Your daughter had an amazing series of matches, stayed up 24 hours, and you saw Chuck Norris. And based on my experience with cameras you were closer to him than it appears from the image. Yeah, I envy your weekend. 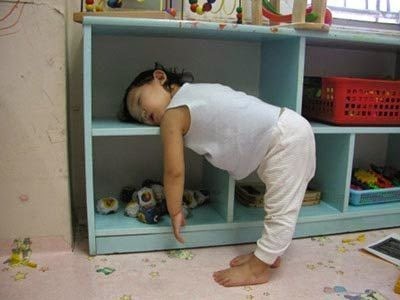 Also, remember when you were young and staying up for 24 hours was no big deal? Well, it was a big deal--I would start talking in a thick Canadian accent in spite of having lived my whole life in Tennessee--but it was still okay. It's even better that Precocious Daughter spent that 24 hours productively. I just hope only a little bit of it was spent getting that contact lens out.